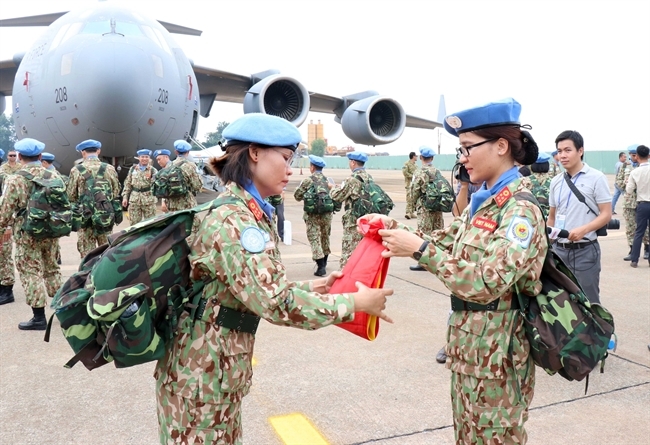 Thirty-two members in the first group of Vietnam’s Level-2 Field Hospital have arrived in South Sudan to carry out their peacekeeping mission in the country. 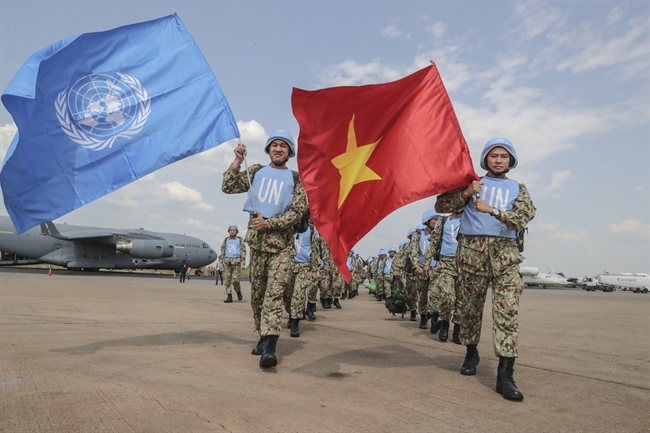 This is a historic event for Vietnam’s participation in international peacekeeping. 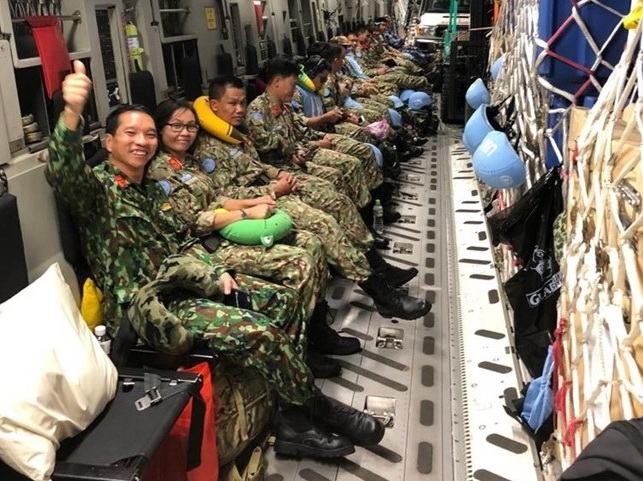 The members of the hospital on October 2 arrived at Juba international airport on Australia’s military transport aircraft C-17A Globemaster III. 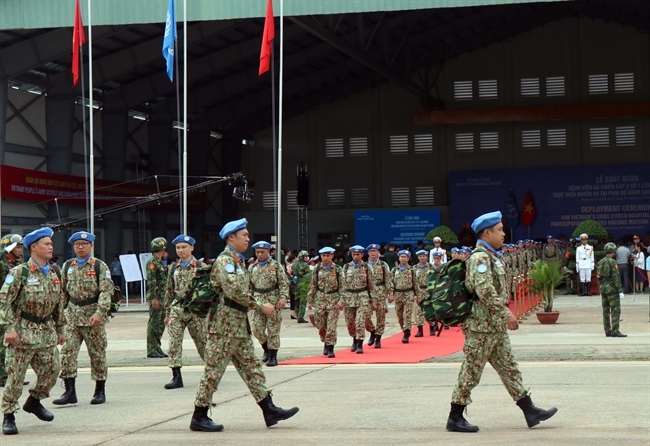 A second airlift will transport the remaining military personnel and equipment on October 16. In total, the two airlifts will fly 63 members and 64 tons of cargo needed to support a military level 2 hospital in South Sudan. 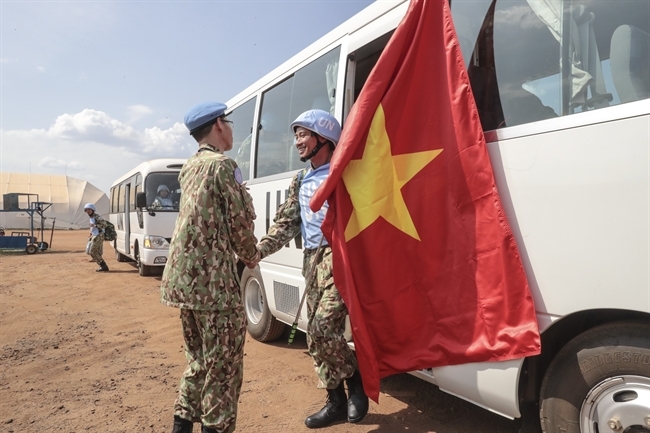 The Vietnamese medical contingent will be in charge of running the UN Level-2 field hospital in Bentiu to provide medical care to over 1,800 military and civilian UN staff working in the north of South Sudan. 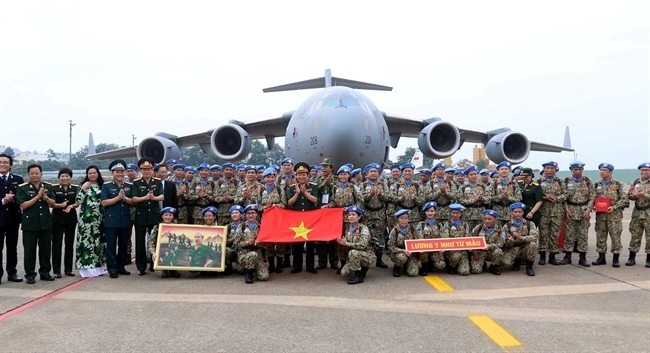 The army doctors were welcomed by Vietnamese peacekeepers who are serving as liaison officers in South Sudan and the commander of the Level-2 field hospital of the UK that will hand over duty in the Bentiu area to the Vietnamese unit. 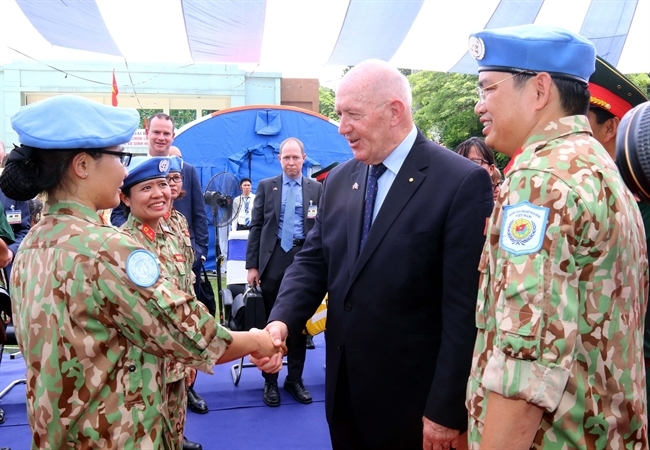 The contingent was earlier honored by Vice Minister of Defense and Sr Lieut General Nguyen Chi Vinh, Australia’s Deputy Chief of Joint Operations Command and Major General Gregory Bilton and Australian Ambassador to Vietnam Craig Chittick in a ceremony held by the Ministry of National Defense on October 1 at Tan Son Nhat airport. 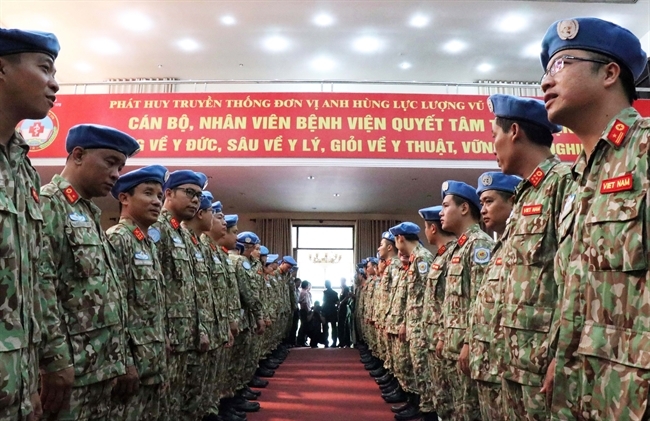 At the ceremony to see off the military doctors, General Nguyen Chi Vinh said that the deployment of the Vietnamese contingent to South Sudan was one of the three most remarkable cooperation successes of Vietnam and the UN peacekeeping force over the past five years. 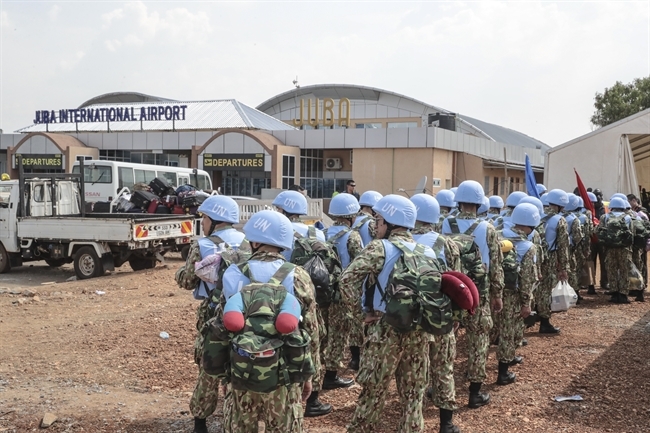 medical care to over 1,800 military and civilian UN staff working in the north of South Sudan. Onboard C-17A Globemaster III aircraft. Photo: Australian Embassy. 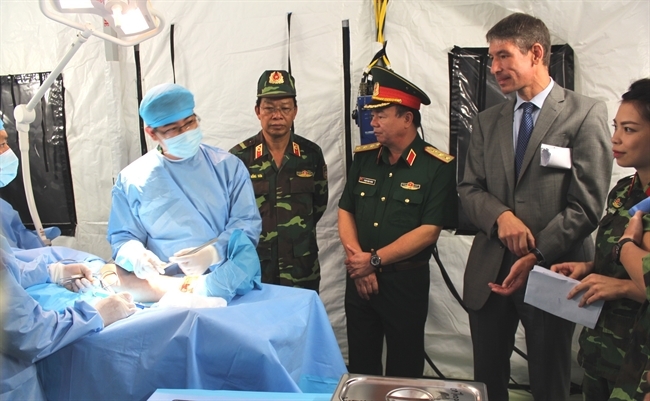 Operating this kind of field hospital located in a foreign land was no less a challenge to Vietnamese army doctors who had literally no experience before. 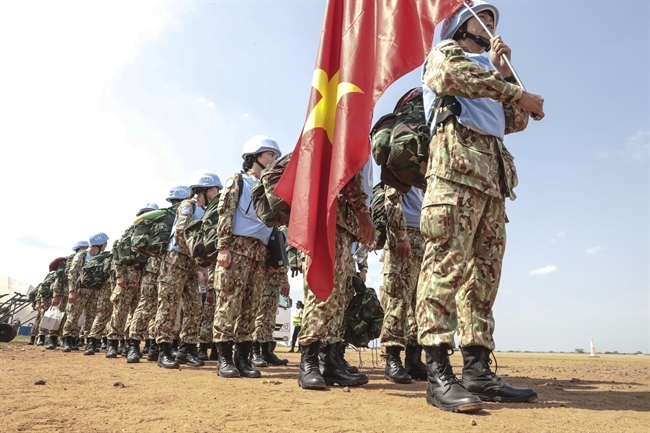 An intense training course was built for the doctors with lessons on the United Nations peacekeeping mission, survival skills in Africa and how to identify mines and explosives. All the members of the hospital are determined to fulfill their tasks in the new and far-away land. 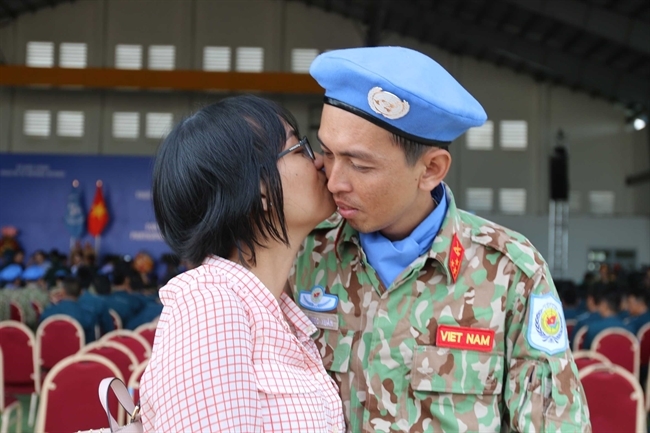 The only daughter of 31-year-old captain Nguyen Quang Tuong from Thanh Hoa just turned three a few days ago and he was able to hold a small birthday party for her before his year-long departure. 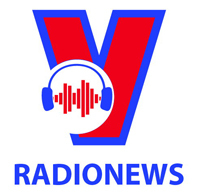 It was especially hard on Tuong that his family, with all the information that can be easily found on the internet, knew very well how dangerous South Sudan is. “I’ve had to explain to my wife and my family that it is the duty of soldiers like us to make an unsafe land become safer. 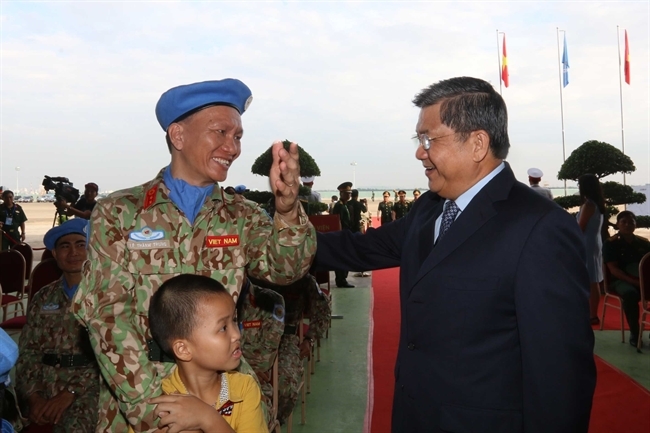 The true responsibility of a peacekeeper is to bring peace to all troubled lands,” he said. 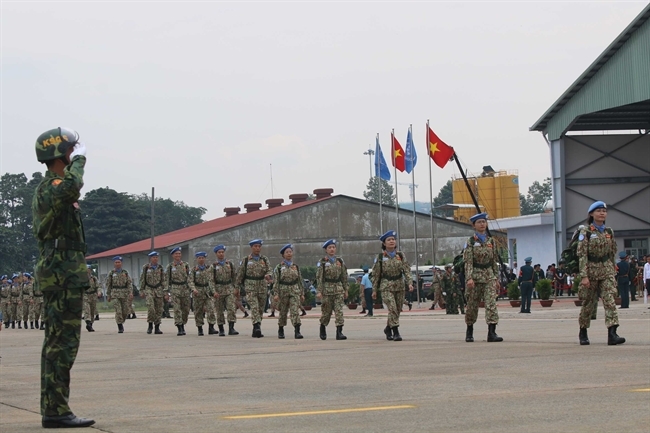 In December 2013, the Ministry of National Defense set up the Vietnam Peacekeeping Center to realize the Party and State’s policy on joining the UN’s peacekeeping activities in humanitarian activities. 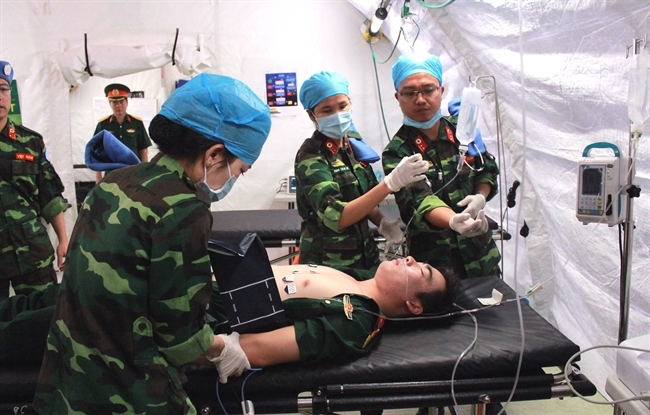 On November 25, 2014, the Ministry of Defense issued a decision to establish the level-2 field hospital with a 70-strong staff. Since then, the hospital’s workers have engaged in training in accordance with the UN’s standards. 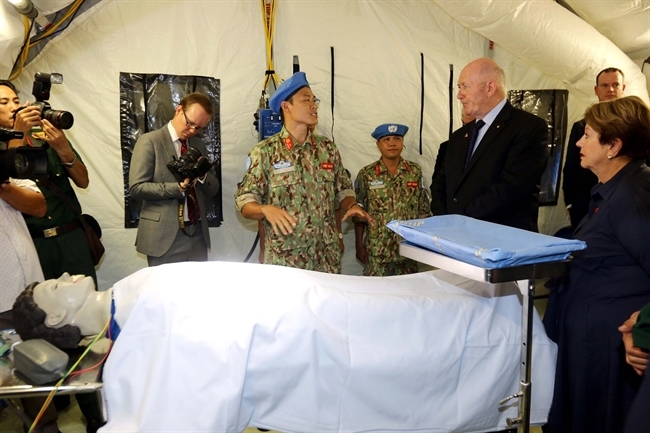 According to the UN's standards, a level-2 unit provides advanced life support, basic surgery, intensive care, and limited patient holding capacity, in addition to primary health care, to peacekeepers within a mission area. It is supported by ancillary laboratory and radiology facilities, a dental unit, and hospital support elements. 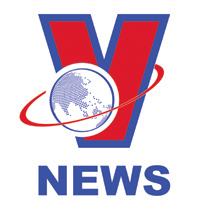 It should have the capacity to perform at least 4 surgical operations, 5 to 10 dental procedures, and 40 outpatient consultations per day, with ward facilities for up to 20 inpatients. It should also maintain the ability to deploy at least two forward medical teams at any time. 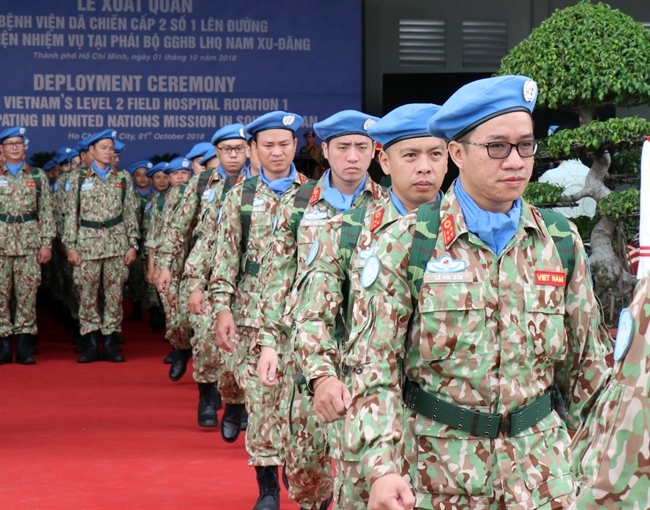 Lieutenant Colonel Bui Duc Thanh, director of the level-2 field hospital, affirmed that all staff members of the hospital have met the UN’s requirements on both professional ethics and skills, and are ready for their mission. 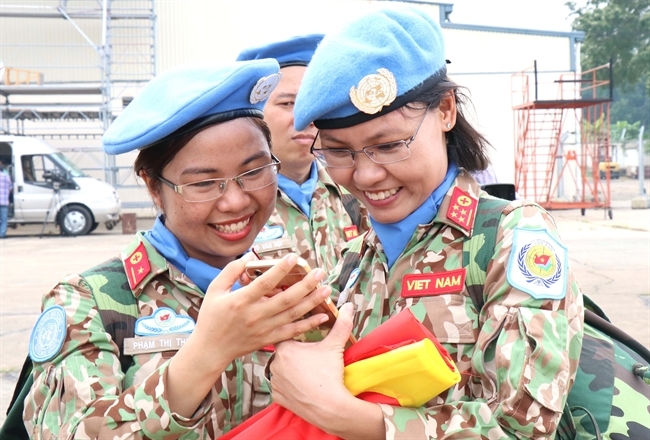 Thanh said besides fulfilling the tasks set by the UN peacekeeping mission in South Sudan, the hospital’s staffers also aim to serve as messengers of peace from Vietnam and promote the country’s image. The Australian governor general and his wife at the Level-1 field hospital under Military Hospital 175. 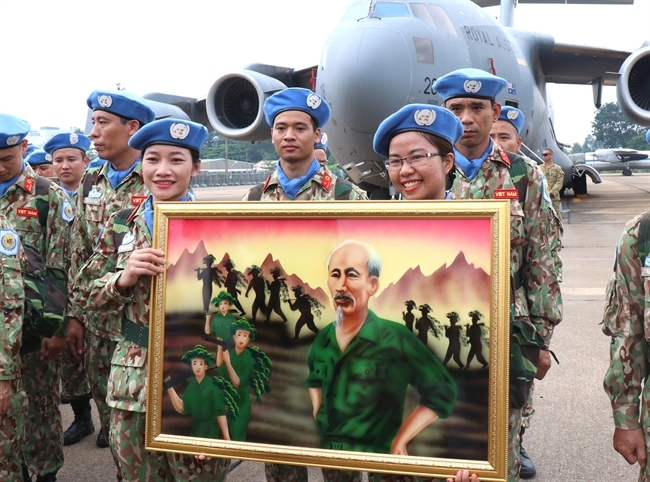 The hospital staff members deliver a message of peace from Vietnam and promote the country's image. Following the signing of a Memorandum of Understanding on Vietnam’s deployment of a field hospital to South Sudan in New York on September 26, UN Under-Secretary-General for Field Support Atul Khare expressed his belief that Vietnam will deploy a high-quality hospital that can effectively contribute to the UN’s peacekeeping activities, and his hope for more contributions from Vietnam to this important mission.